Whether you are a rookie rider or trail master, there is a best hardtail mountain bike to suit your racing needs. Also known as front suspension bikes, hardtails quite literally have a hardtail, or no suspension in the rear (tail) of the bike. What hardtails do offer is a front-loading suspension fork that helps absorb impact on the front wheel. While the lack of rear shocks creates a slightly bumpier ride compared to a full suspension bike, the best hardtail mountain bikes offer a variety of benefits that can’t be beat, which is why hardtail mountain bikes still rule the cross-country racing scene. Thanks to their less complicated suspension systems, hardtails are lighter, more efficient and easier to maintain than full suspension rigs, making them perfect for new and pro riders alike. What’s more, all of these benefits come at a substantially lower price point. We’ve compiled a list of what we think is the best hardtail mountain bike for every budget, each one running the gamut in size and specs, but all offering a quality ride. Made from ultra-lightweight and incredibly durable carbon fibre, this hardtail bike is an excellent choice for any trail rider. At a mere 10.7 kilograms, you will zip through trails at high speed while easily overtaking rough terrain with its 27.5-inch wheels. Speed is nothing without control, which is why this bike features one of the best hydraulic braking systems on the market. The BEIOU offers a complete balance between control, speed and durability all for a very reasonable price. 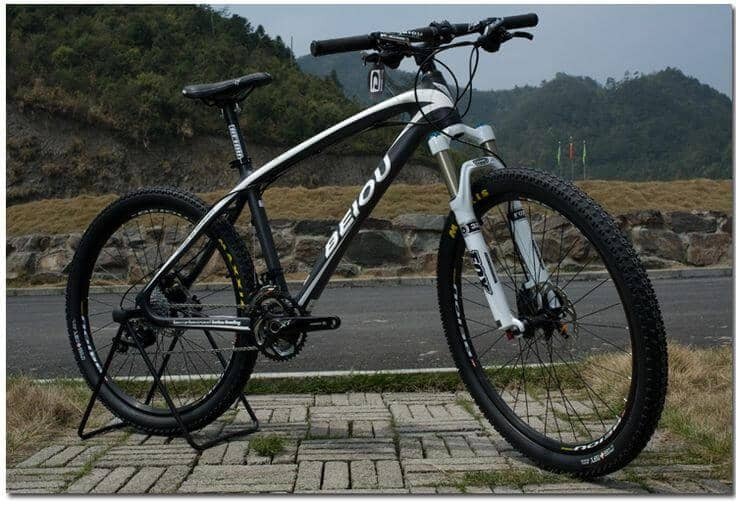 For a slightly lower price, you will find a near replica of the BEIOU 650B hardtail (listed above) with 26-inch wheels and a slightly smaller frame size. This smaller, more agile hardtail bike offers even more manoeuvrability than our top pick but sacrifices terrain coverage with its slightly smaller tires. Still, this is an exceptional bike and will feel more comfortable than the 650B if you have a smaller build. As is standard, its carbon fibre frame is immune to rust and corrosion making it worth the investment. This mid-tier hardtail is perfect if you are planning for some intense trails, filled with downhill plunges, rocks, limbs and other big obstacles. The Diamondback Overdrive features a set of 29ers, or 29-inch wheels, that will steamroll the toughest of trail debris. Made from aluminum alloy, this durable hardtail can take a beating while remaining lightweight. The Overdrive is a great pick for anyone, new or experienced, looking for an adventure. Clocking in as low as $550, this quality bike is an all-around awesome choice. While not as flashy as the other bikes on our list, this Diamondback hardtail is a solid choice for those just getting started in the world of mountain biking. With a heat-treated aluminium frame and a 7-speed drivetrain, the Sorrento provides a solid, stable ride, good for trails and paved pathways. Although this is an entry-level rig, it can compete with, and in some cases surpass, more expensive models in terms of speed, handling and durability, making it a great value. Even with a key feature like suspension pinned down, choosing the right bike is still a complicated process. On your journey toward the perfect ride, you need to consider a multitude of other specifications to find a bike that compliments your physical build, riding style and trail preference. For further guidance, here are some crucial things to consider before making your final purchase. Wheels typically come in three sizes: 26 inches, 27.5 inch and 29 inches. For the most part, 26-inch wheels are still considered the “industry standard” meaning they are the go-to size for most mountain bikes. At 26 inches, the small wheels offer the rider superior manoeuvrability and agility. Additionally, since 26-inch wheels are the standard, some of the newest advancements in hardtails are designed around bikes with 26-inch wheels. On the opposite end of the spectrum, 29ers sacrifice the easy manoeuvrability of smaller wheels for superior terrain coverage. The large, 29-inch wheels can cover just about anything including logs, rocks and any other gnarly obstacle the trail throws your way. These are ideal for intense mountain rides because they offer increased stability. Bear in mind, 29ers are much harder to accelerate, especially from a dead stop. Not quite as large or as small, the 27.5-inch wheels find a middle ground and can offer the best of both worlds. These mid-size wheels are becoming increasingly popular for their combination of manoeuvrability and ability to conquer tough terrain. A set of 27.5-inch wheels are perfect for cross-country riders looking for a mix of agility and obstacle clearance. Your frame is essentially the skeleton of your bike, so do not choose its material without ample consideration. Frames are almost always made of either aluminium, carbon fibre, titanium or steel, each material affecting your bike’s overall durability, longevity, speed, ride quality and price. Titanium: Let’s start with the most expensive material, titanium. For a pretty penny, a titanium frame offers the highest strength to weight ratio of any material on this list, meaning it’s both lightweight and incredibly strong. Because of its high cost, titanium frames are typically reserved for the most high-end rides for professional or near-professional mountain bikers. Steel: An equally durable option would be steel, which can withstand any jumps gone wrong and brutal, brunt-force landings. However, steel is relatively heavy compared to other materials, making for tougher transport, and is also more susceptible to rust. Steel tends to be the most budget-friendly option for riders who want to spend their money on other high-end features. Aluminum: This is the most common frame type. A higher resistance to rust, lighter weight and lower price make it a well-rounded option for most average riders. The quality of aluminium can vary greatly from bike to bike based on tubing design and other factors, but in general, aluminium offers a solid ride. Carbon Fiber: At an incredibly low weight, carbon fibre frames offer surprising durability. As the only non-metal on the list, a carbon frame is less affected by the elements, making it a long-lasting frame resistant to rust and corrosion. These frames tend to fall on the higher end of the price spectrum. Good brakes translate to better control and a safer ride, making them a highly important feature. Disc brakes come standard on most mountain bikes save for entry-level and budget bikes which feature rim brakes. Disc brakes are without question the superior system and come in hydraulic and mechanical versions. Hydraulic disc brakes: Hydraulic brakes are the best technology in mountain bikes. As the pads wear down, hydraulic brakes will self-adjust to compensate for the erosion, making your ride easier and safer. They also are the most sensitive brake system, reacting with minimal effort from your hands. Mechanical disc brakes: These offer similar benefits to hydraulic brakes, but require you to manually adjust as the brake pads wear down. This can be a tricky and time-consuming process for entry-level riders. Your local bike shop can quickly identify and make the needed adjustments, but this adds to overall maintenance costs. Rim Brakes: These are less expensive than disc brake systems but offer noticeably worse performance in wet conditions, strain the hands, gradually wear out wheel rims and offer less stopping power. That said, rim brakes can get the job done for novice riders or those on a tight budget. The right hardtail should fit your personal build, meaning you will need to take accurate measurements of your height and weight to properly customize your new bike. Most models, including everyone on our list, offer a variety of prebuilt frame sizes to choose from. A size chart should be provided or can be easily acquired before purchase. 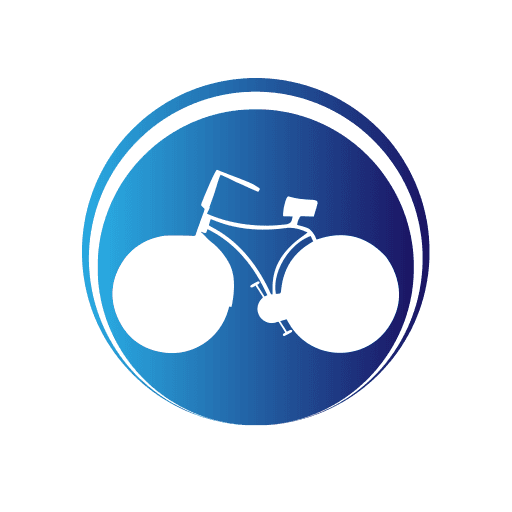 Be sure to carefully review the size chart before purchase as some bikes have weight limits and could be damaged if you are too heavy for the frame size you selected. Whether it’s your first hardtail, a replacement or an addition to your collection, buying a new bike can be a daunting decision. Thankfully, we’ve done the hard part for you, finding the absolute best hardtail mountain bikes for every budget, and providing you with all the necessary background research.The only thing left to do is hit the trails. Happy riding! For a list of the best overall mountain bikes of any type, go here. I’m in search of a new hardtail MTB and these reviews were very useful. Thanks!